Whether it's a lion loose in the park or story-book characters coming to life, when Mary Poppins is in residence in Cherry Tree Lane, you can be sure that wonderful adventures will follow. 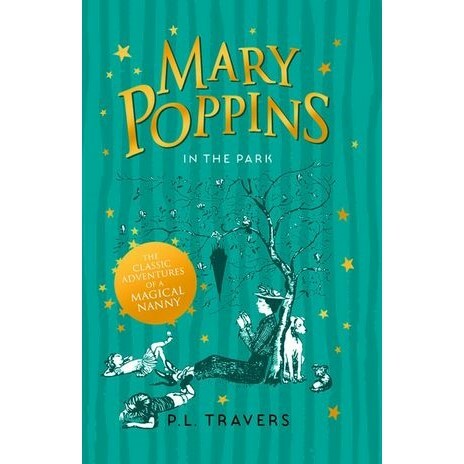 More than eighty years since we first met Mary Poppins, this original, classic story is still charming readers and transporting new fans into the mysterious world of everyone's favourite magical nanny. Enjoy the fourth book in the iconic series. P.L. Travers, born in 1899, grew up on a sugar plantation in Australia, one of three sisters. Pamela deliberately kept her life very private. She lived for a while in Ireland and London, and travelled frequently to America, where she was made writer in residence to both Smith and Radcliffe Colleges in Massachusetts. She also received an honorary doctorate from Chatham College, Pittsburgh. Although she worked as a secretary, a dancer and an actress, writing was P.L. Travers' real love, and for many years she was a journalist. It was while she was recuperating from a serious illness that she wrote Mary Poppins - 'to while away the days, but also to put down something that had been in my mind for a long time,' she said. She wrote eight Mary Poppins books altogether and several other children's books as well as adult books.